In the Library are karstological monographs and serial publications of national and international publishers. Most of the library material is exchanged for Acta Carsologica journal, part of the collection was donated to the Institute, and a small portion was purchased for research purposes. 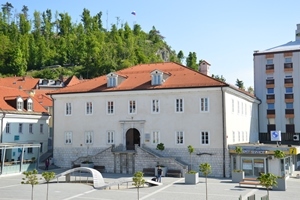 Information about library holdings is possible through COBISS-virtual library of Slovenia or via the web application e-Library IZRK. Library materials can be borrowed only by members of the library. We do not send library materials to your home address, they can be borrowed only personally during office hours. Serial publications cannot be borrowed. We do not accept liability for the accuracy of the data in e-Library IZRK. Time for borrowing: four weeks.